Today’s children spend just 1% of their time outdoors (National Institutes of Health). Unlike a generation ago, children today have little exposure to the systems that sustain life—rarely taking the opportunity to experience the joy of spending time in nature. A reduction of stress and mental illnesses including depression, ADD and ADHD. A greater ability to concentrate in school and become better problem solvers. Greater respect for themselves, for others and for the environment. The Pew Charitable Trust’s 1998 report: Closing the Achievement Gap: Using the Environment as an Integrating Context (EIC), showed that children who participate in nature-based education programs had better performance on standardized tests in reading, writing, math, science, and social studies, reduced discipline and classroom problems, and increased engagement and enthusiasm for learning. There are countless studies establishing the connection between children’s time spent outdoors and their physical and emotional health. In the last year alone, the issue has begun to take center stage in news media as well. Here is a sampling of recent Nature & Health News from around the web – new links are added often; check back soon! We engage, educate and empower visitors by instilling admiration and respect for the environment, and by fostering a sense of hope for the future as we move into a rapidly-changing environment and ever-challenging world. Serving the region, the Aldo Leopold Nature Center hosts more than 60,000 school children, families and teachers annually. 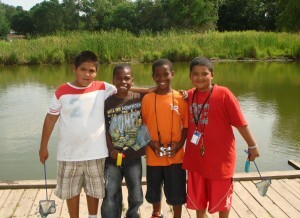 ALNC offers hands-on, outdoor environmental education programs that connect children to nature. Through these programs, children reap innumerable physical, cognitive and emotional benefits while learning to be good stewards of our natural world. 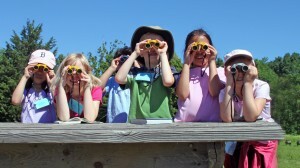 ALNC operates an innovative nature center campus year-round in Monona for hands-on environmental education programming including public programs, preschool programs, summer camps, school field trips, after school programs, scout and homeschool programs, special events, and teacher training workshops. Through these programs, ALNC fosters admiration and respect for nature, and encourages sustainability and stewardship of the land.